Red2120 is the one always posting things on the blog! Red2120 is a penguin that waddles on a snow covered world called Clubpenguin! He goes on server Sleet and loves to meet new people! He also makes videos on youtube! He has a twitter also! Be sure to google him or youtube his name! I'm sure you will find something! Red2120 created this blog to help you! Red2120 hopes that this blog will help you! 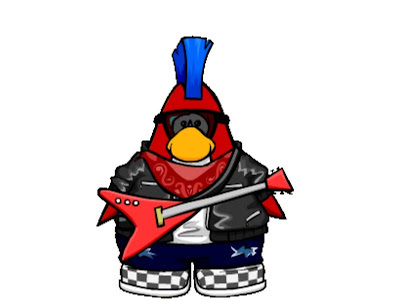 Hobbies: Chilling, hanging with friends, Clubpenguin, Blogging, Going to his local rollercoaster park every week! Favorite music: "Now in Days" Rock pop hiphop and some rap. If you see me on Clubpenguin be sure to say Hi! Sorry though if I dont add you! I might be full! do you ALWAYS go on Sleet? Yes! Red2120 always goes on Sleet!